A road less travelled would be an apt description for the recent trade of the grain complex as it navigates uncharted waters of both a gov’t shutdown & a possible US/China trade resolution! 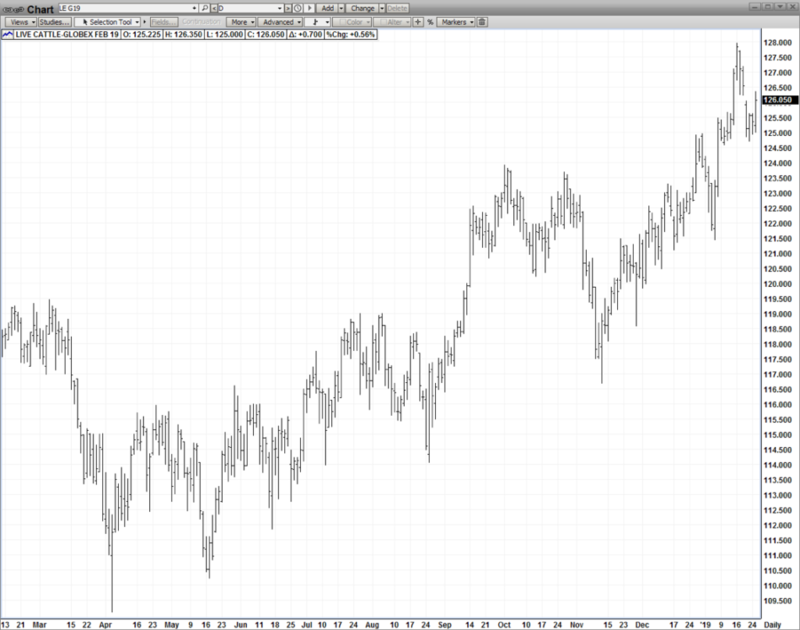 Both rare events have converged in time leaving the mkt uncertain and sideways! However one was resolved this afternoon and the mkt seemed to like it! SOUTH AMERICA – Brazil is the biggest problem – with hot & dry predicted thru the end of Jan – initial crop estimates of 125 MMT have been shaved to under 115! GOV’T RE-OPENING – Well Glory Hallelujah! It’s about time! Many of us out there are thinking – that if we ran our business the way the gov’t does, we wouldn’t have any! In any case, normalcy in USDA reporting should soon return including regular export reporting plus the monthly USDA Reports! HELP FROM THE OUTSIDES- The US Dollar had a key reversal down today with a 2-wk low close! Definitely good for exports! And Crude Oil closed the week unchanged – at some $10 off its Dec lows! 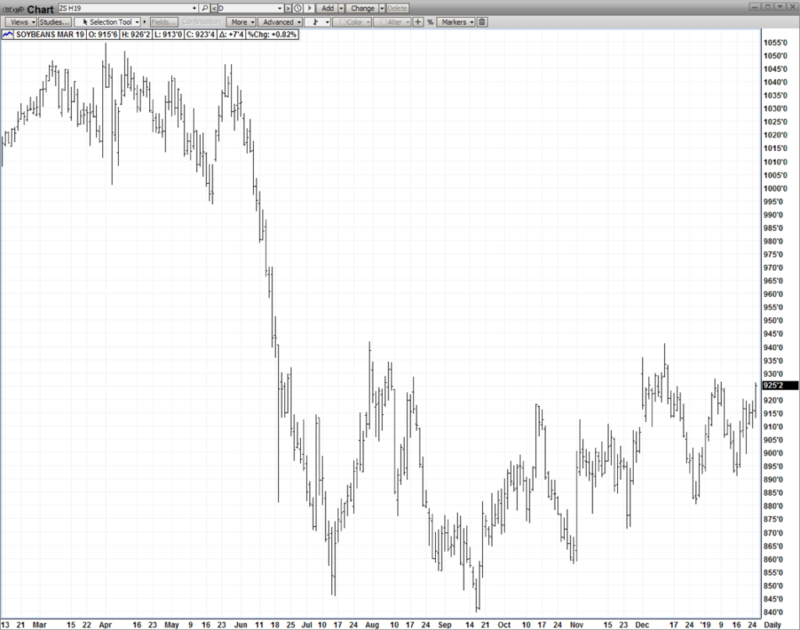 Definitely positive for ethanol demand! A THIRD US/CHINA TRADE MEETING THIS WEEK – optimism is running high and with good reason – the tariffs are hurting BOTH the US & China economically – so why continue when both countries can ill afford it! Is COMMON SENSE finally prevailing in the world mkts? We think so! The gov’t shutdown made no sense – harming hundreds of thousands of innocent workers – and now its over! Likewise, the US/China tariffs were becoming more and more injurious to our trade with China – MUTUALLY – and now a resolution seems imminent. 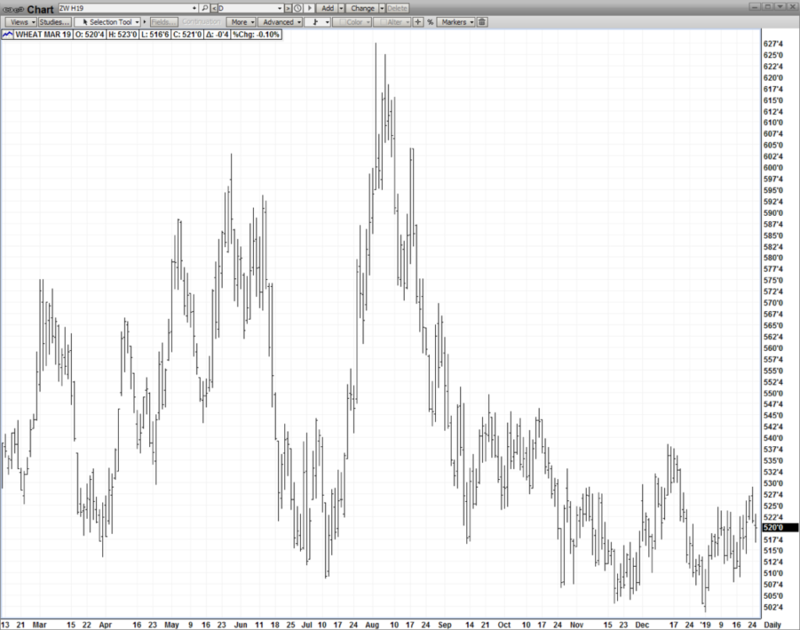 That has to be good news for grain prices – especially as they come off 10 year lows! Inexplicably, Mar Corn seems to be coat-tailing Mar Beans – when you could easily argue that it has the best supply/demand fundamentals of the entire grain complex! A trade resolution should mean China’s purchase of an additional 3-5 MMT! 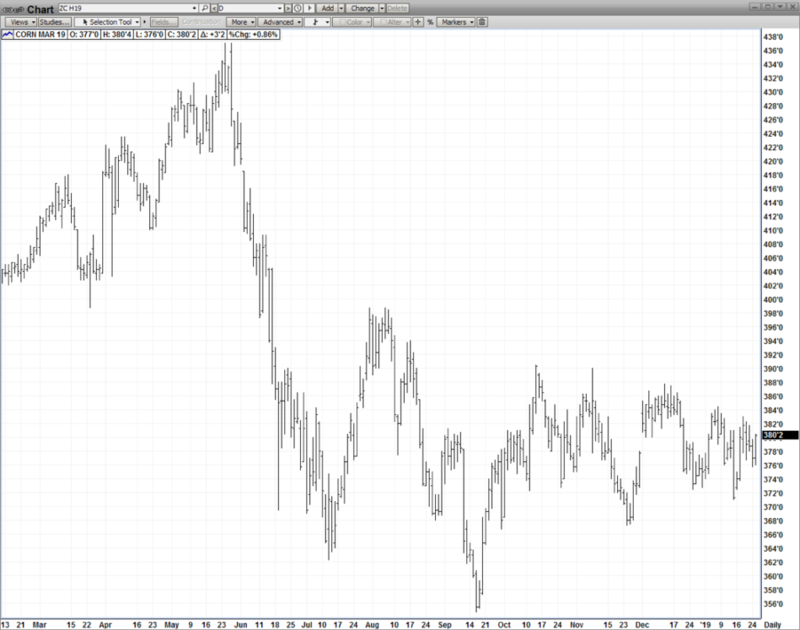 Corn is mired in a sideways trading pattern but could easily be a “sleeper up”! Just when you think this is mkt is ready to break out upside – it isn’t! Very frustrating indeed! Early Thursday, Mar Wht was up over a dime on the wk – when it suddenly reversed for a nickel-lower close! The contract still was able to eke out a 2 cent Weekly gain but it was flirting with a 5-wk high close at one time – but not to be! The major fundamentals haven’t really changed- the continually asked question as to whether Russia will ever slow/stop its relentless export pace & severe cold/snow storms possibly damaging Winter Wheat areas! 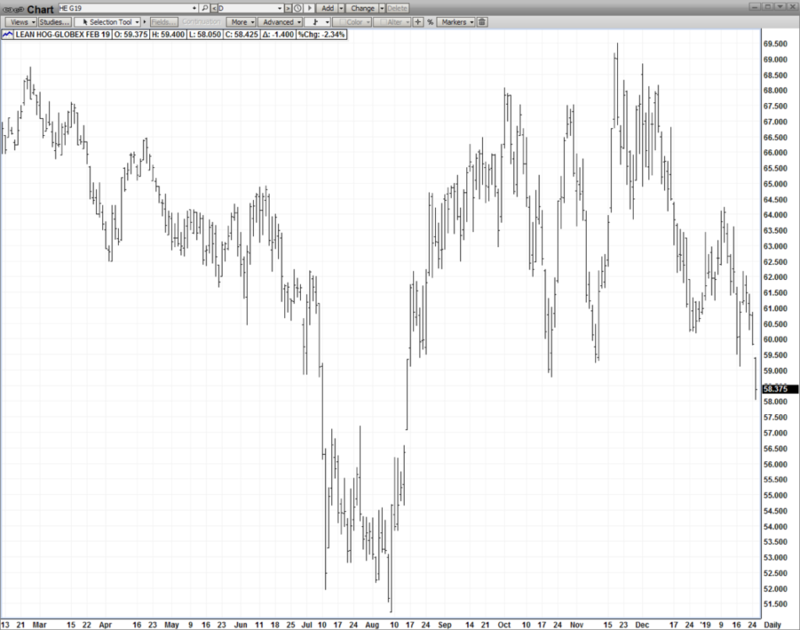 But maybe the biggest mark-mover could well be SPILLOVER from a TRADE RESOLUTION RALLY from corn & beans! Feb Cat turned in quite a resilient performance this week – staying within just $2.00 of its early Jan highs – despite a plummeting Feb Hog mkt dropping $11 off its mid-Nov highs! The primary catalyst was incredible beef demand that we’ve had for some time but you also have to give an assist to a brutal POLAR VORTEX sweeping across the midwest in the next week! Finally, a positive stock mkt so far this year has implied a high level of consumer confidence – which has enhanced general beef demand! When one of the most brutal bitter cold & snow storms scheduled to hit the Midwest in recent memory can’t rally Feb Hogs, you wonder what can? Longer term fundamentals are friendly with both the US/China trade resolution & the Asian Swine Flu promising to kick up exports sometime in latter 2019 but for this contract THE FUTURE IS NOW. So Feb Hogs capitulated this week to the tune of $3.00 (61.25 – 58.37) – buckling under from abundant pork & poultry supplies continually inundating the mkt! To SUBSCRIBE to the AGMASTER please go to http://bit.ly/xIGR6x. To Unsubscribe from the AGMASTER please send an email to offers@pricegroup.com. View the AGMASTER Archives at http://blog.pricegroup.com/tag/agmaster.